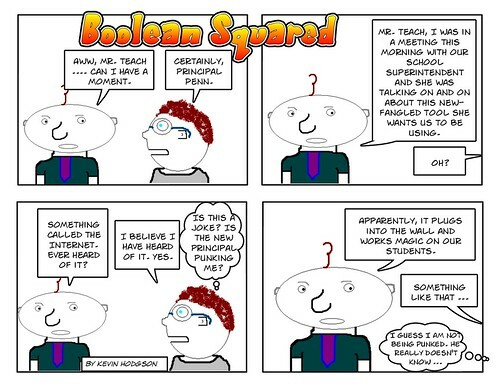 My new character — Principal Penn — reveals a bit of himself in today’s comic strip. Meanwhile, Mr. Teach keeps an eye over his shoulder. This entry was posted in boolean squared. Bookmark the permalink.